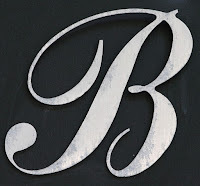 I’m on the second letter of my Year of Blogging the Alphabet, and when I thought about what I wanted to use for the letter “B”, blessing automatically came to mind. Plus benevolence, babies, baggage and a whole lot of others. So when the word BREVITY kept pounding me, I tried ignoring it because, after all, what’s there to say about brevity? It’s brief. George and Noah (that’s Merriam and Webster) describe it as: shortness of duration; shortness or conciseness of expression. It’s from the Latin brevitas, for brief and was first used sometime in the 15th century. So, in sticking to the meaning of this word, this is where I should probably stop.